Wine inspires the mind and the soul. Many moviemakers, songwriters, painters, and poets use wine throughout their artistry. Wine poetry is when winemakers and poets come together to entertain humankind. Two enchanting and passionate worlds collide to create a delicious wine pairing. We are grateful for their work and for their favorite theme, because it happens to be our favorite theme, too. And of course, the best way to enjoy their work is to do it while sipping wine. Go ahead, I’m giving you a few minutes to pour yourself a glass of wine. Now that we’ve armed ourselves with a glass of wine, let’s discuss poetry. I started reading The Flowers Of Evil from a well-known French poet Charles Baudelaire. 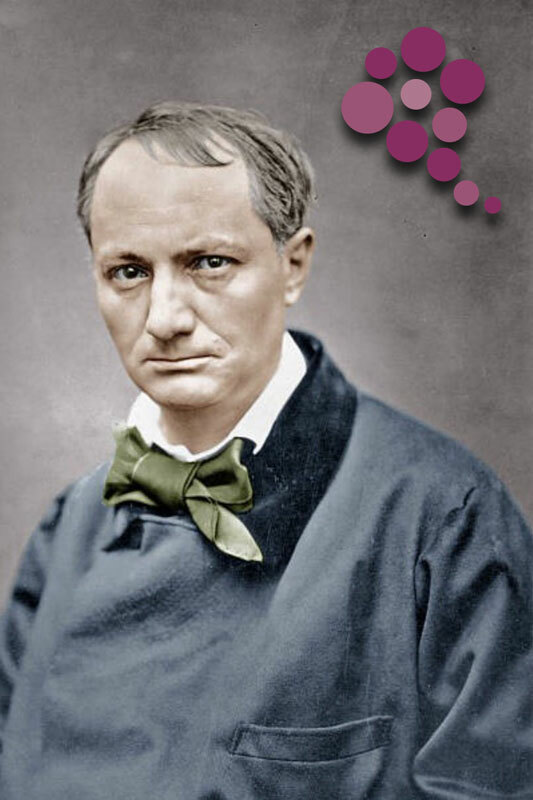 That is some beautiful poetry but Mr. Baudelaire was quite troubled emotionally and lived a raving mad life as result. In fact, like every respectful artist, he used his work to tell about his trepidatious and ephemeral experience of life in an urban metropolis – most commonly referred to the City Of Lights: Paris. Young Charles Baudelaire had a very complicated relationship with his mother after his father passed away. His mother’s unfortunate life choices left him scarred emotionally and drove him down a life-threatening path, which involved prostitution, drug and alcohol abuse, and an alleged advocacy of satanism – quite the package, all of which influenced his poetry. His principal subjects were women, lesbianism, sacred and profane love, metamorphosis, melancholy, the corruption of the city, lost innocence, the oppressiveness of living, lust, and last but not least, wine. Baudelaire’s use of imagery of the sense of smell and fragrances is omnipresent in his work. All of this lead to a wonderful modern prose-poetry that had a definite impact on many other writers and poets, and me. 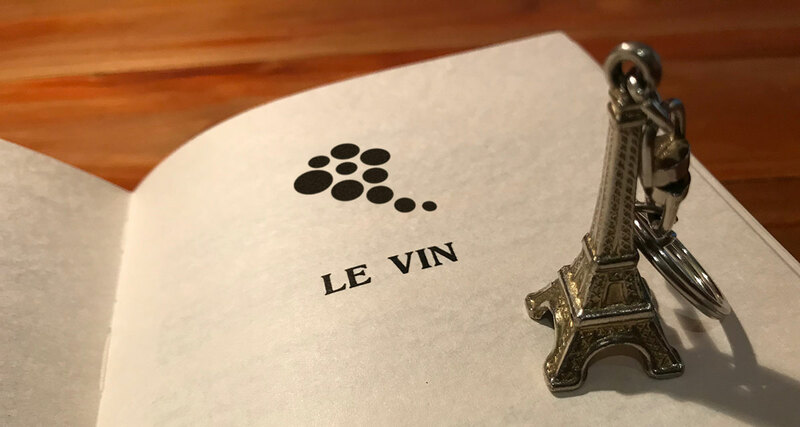 Here are the 5 poems he wrote about wine, conveniently translated in English. Enjoy wine poetry! From my prison of glass with its scarlet wax seals. Where I'm much happier than in my cold cellar. And the hopes that warble in my fluttering breast? The oil that hardens a wrestler's muscles. Which will spring up toward God like a rare flower!" Which makes us triumphant and equal to the gods!